A lot of Excel procedures are packaged in Add-Ins. An Add-In is basically a workbook containing some code, that has some other unique properties. An add-in usually has some user interface elements, such as buttons on the ribbon or on context (right-click) menus, so you can access its features. The add-in workbook itself is invisible, though it has one and often more hidden worksheets, where information related to the add-in may be stored. The add-in can be installed, which means it opens every time Excel opens, so that its functionality is always available. An Excel add-in can also be opened like a regular file when you need it, without installing it, though it is still hidden. where USERNAME is your Windows login. You can get there quickly by pressing Win+R (Win = Windows key), typing %appdata% in the Run box, and clicking OK (which opens the Roaming directory), and drilling down to Microsoft and then AddIns. 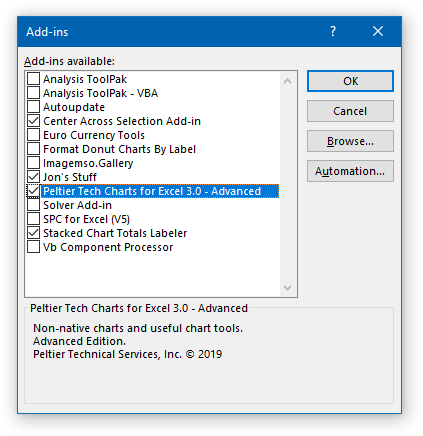 You can actually store the add-in in almost any convenient folder, but when you use the Add-In Library, it’s easy to find the add-in from within Excel when you install it. Check the Unblock box, and click OK. If you have the Developer tab showing on Excel’s ribbon, go there and click on Excel Add-Ins (or if it’s an older version of Excel that has no Excel Add-Ins button, click on Add-Ins) to open the Add-Ins dialog. Otherwise, click on the File tab > Options > Add-Ins. Click the Go button near the bottom of the list to open the Add-Ins dialog. Or you can use the old Excel 2003 shortcut, Alt+T+I, to open the Add-Ins dialog. If you stored the add-in in the User Library, it will appear by name in the Add-Ins dialog. Otherwise you will have to click Browse, then navigate to find the add-in. Check the box in front of this entry, then click OK, and the add-in is installed, available whenever you run Excel. Follow the steps to get to the Add-Ins dialog (Developer tab > Excel Add-Ins, File tab > Options > Add-Ins > Go, or Alt+T+I). When the Add-Ins dialog opens, locate the add-in in the list, uncheck the box in front of it, and click OK. The add-in should remain in the list, to make it easy to reinstall at some future time. 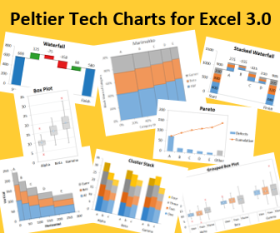 If you don’t want an Excel add-in installed all the time, you can simply start it when you need it, using File > Open in Excel, double clicking on the add-in file in Windows Explorer, or dragging it from Windows Explorer and dropping it on Excel. 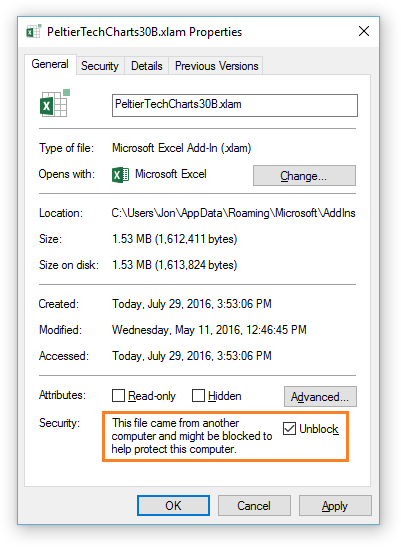 Note that the add-in must be unblocked before opening it in Excel. When a regular workbook is blocked, it will open in Excel in a Protected Mode window, and it cannot be edited. An add-in does not open in a window, so a blocked add-in will simply not load. Follow the steps to unblock the add-in, and it will load just fine. Posted: Tuesday, February 26th, 2019 under VBA.